 The farm was founded by Hans-Joachim Straub and his wife Dr. Ute Hotz-Straub in 1980 when barely noone paid attention to Aberdeen Angus and even less to organic breeding. Since then, started with just a few cattle it began to grow and benefit from the rising demand of local, sustainable, organic and ethical cattle breeding. We are constantly trying to achieve new ways to make stustainable and organic cattle breeding affordable, providing high qualitity breeding genetic as well as just plain, healthy and good beef.